Let’s Remodel is Portland, Oregon’s leading provider of residential home remodeling. It’s also a family business. A labor of love, even. 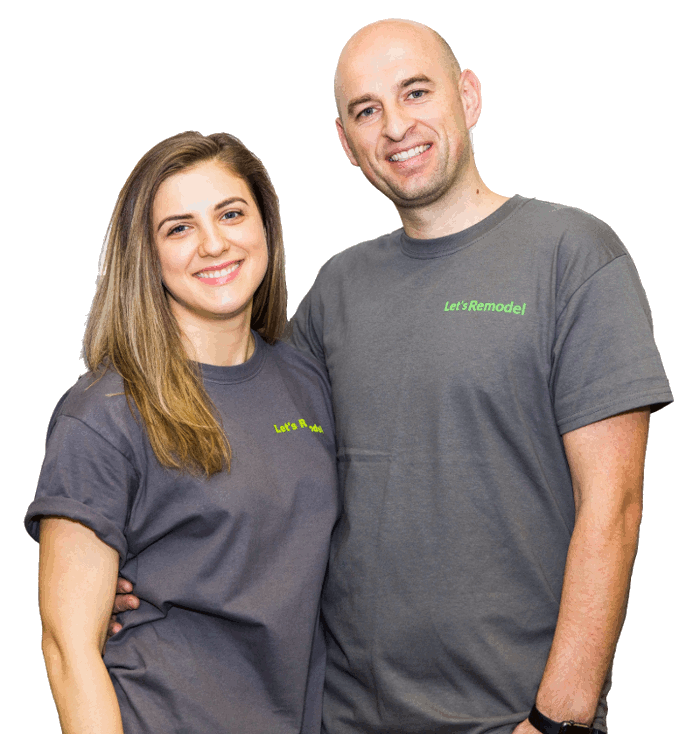 The owners, Pavel and Polina, work together side by side as a team every day, making your home renovation dreams come true. Polina creates amazing interior designs, while Pavel manages all aspects of the construction work. This approach has proven to be very effective. Normally, you would start with a design company, then search for a reputable contractor to build the project. But, what happens when there’s a problem? Someone unwittingly becomes a project manager and has to manage two teams on their own. What a hassle. Not good for you as the client. We’ve found that by keeping everything under one roof, we sidestep that problem completely. As it turns out, this setup is not only convenient for you, but it decreases the cost of remodeling projects and things get done much quicker too. Nice! Since our humble beginnings we’ve brought in more designers and craftsmen, but it hasn’t changed us. Let’s Remodel at its core is still two teams bringing their skills together to make something great. It’s hassle-free remodeling. Meet your designer, set a date, and it’s as good as done. We think all remodeling projects should be that easy, don’t you? Schedule a Meeting and Get Started. Tell us all the juicy details about your kitchen & bathroom remodeling projects and we will get you a quote as soon as superhumanly possible.